Sue Strange (now Sue Bush) had a really outdated website that did not support all of the things she wanted to do. With big plans on the horizon, the previous website was never going to support where Sue wanted to go and what she wanted her brand to grow into. 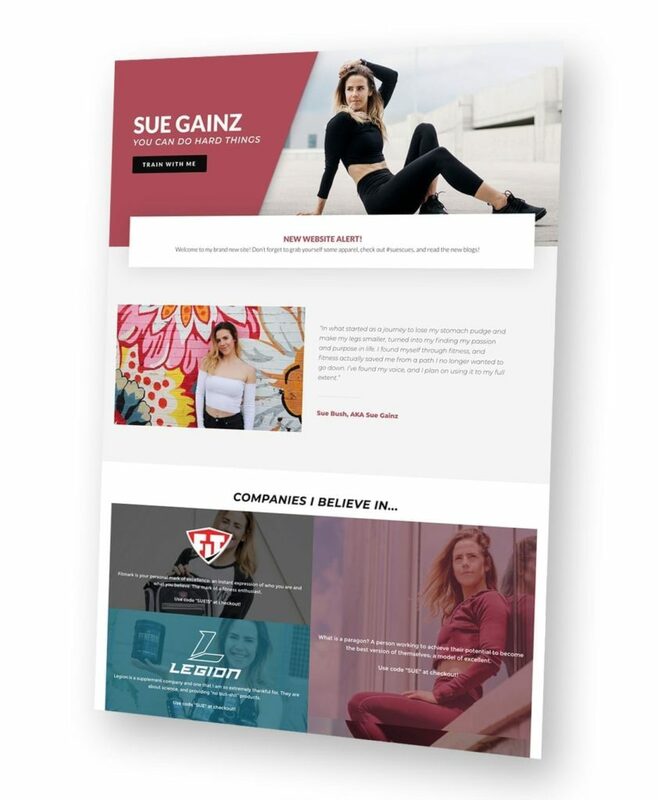 We built Sue’s brand new website from the ground up, and she now has a website that she can proudly send potential and current clients to. The website has info about her, the ability to signup for training, a blog, full exercise library, and even a shop! One of the main reasons for Sue reaching out to me was because she was not thrilled with the way her previous website looked. We wanted this website to perform well, but also look awesome. Since Sue has a solid social media following, a large percentage of users will be visiting on mobile devices, so creating a great mobile experience was also a top priority! Sue also wanted to give people a reason to visit her site, not simply stop by and never return. We built in “Sue’s Cues”, an exclusive video series for the website, along with a full exercise library of videos for people to reference, directly on the website. Sue’s previous website was setup to sell ebooks, but she wanted to start selling physical goods as well. I was able to add this functionality to the site we had already built, and configure the products for her to start selling. 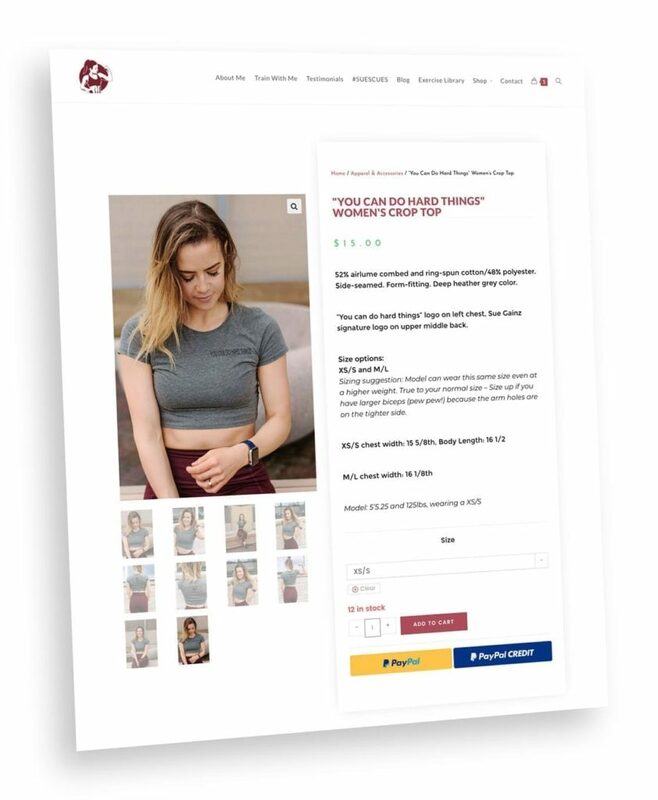 By building in inventory management, Sue is able to sell products and fulfill orders without needing to go into the backend of the website and update her inventory after each order..